I Remember! | I am JuJu! ← Homeschooling With A Virtual Academy: What I’ve Learned So Far! I remember sitting on the couch playing with Hailey (she was 5 months old) when my phone rang. I remember my sister’s voice on the other end of the phone as she told me that a plane had crashed into one of the towers of the World Trade Center. 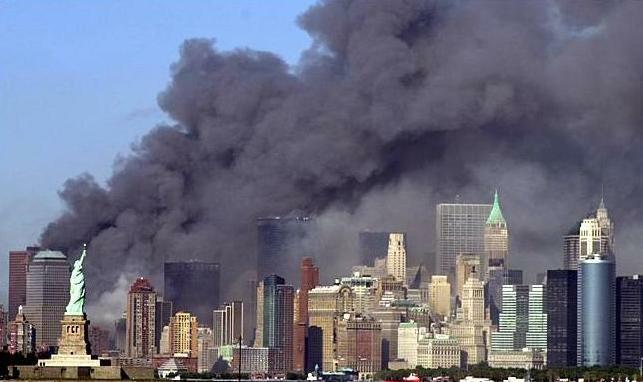 I remember sitting in horror watching as the second tower was struck. I remember the absolute panic I felt when I heard that a plane had struck the Pentagon as my dad was there on a regular basis for meetings. I remember watching hour upon hour of coverage and just being in shock that this could actually happen! I remember thinking that life as we knew it would NEVER be the same. I remember praying countless prayers for God’s comfort and peace to fall on all of those who lost loved ones in the attack and for those who witnessed this tragedy first-hand. I remember the feelings of amazement and pride as the stories of the heroes of that horrible day unfolded. I remember the unity our country had for a long time after that day! Even though it has been 11 years, I remember that day so vividly! This entry was tagged remember, remembering September 11th, September 11th. Bookmark the permalink.